ACE, the centre where the Scottish Radical Library is based, has amassed an extraordinary collection of material over the decades. One particularly exciting group of documents are our “Protest Posters”, many from all over the world. There’s something exciting and immediate about a good poster. It hits you right between the eyes and provokes a reaction – either attraction or repulsion. Thanks to some pretty dedicated volunteers, we’ve now begun to digitise our poster collection bit by bit, alongside the SRL digital project to get our books, pamphlets, magazines and journals online in a searchable catalogue. The hope is anyone interested can browse the posters either for their own interest or to help researchers in whatever project they’re working on. The first batch posted represent a selection of Anarchist, Anti-militarist and Environmental groups covering the 1970s up to the 2000s. Check our new ‘Gallery’ page for current images and updates. The Radical Library monthly meet is free & open to all on the 2nd Thursday of every month: March 9th at 6pm. Free tea/coffee & snacks available. The Scottish Radical Library is an archive housing hundreds of original and rare books, periodicals, fanzines about anarchist, feminist, autonomous and communist literature, theories and practices. 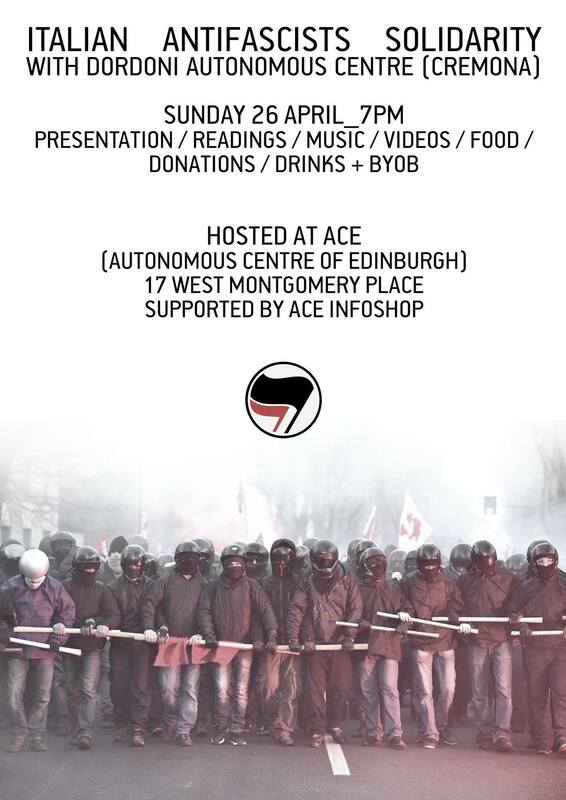 Based at the Autonomous Centre of Edinburgh in West Montgomery Place it hosts the catalogue of the centre and several groups and initiatives of autonomous and revolutionary organising from Edinburgh and covering international groups. Together with the library we also take care of a small info shop where we regularly order and sell books from radical publishers and authors to support radical writers and editorial projects. The Radical Library monthly meet is free & open to all – 2nd Thursday of every month. Free tea/coffee & snacks available. Come along & read the books, magazines & pamphlets or just chat & hang out. Plus ACE is open for borrowing books from the SRL, the Info Shop, Chiapas solidarity merchandise, computer & broadband access, herbal library etc. Help us with the Working Session of the SRL sorting out, cataloguing & displaying the books, pamphlets, magazines & newsletters in the collection. This workshop will subject ‘the problem with work’ to scrutiny by relating unemployed workers’ struggles in the 1990s to contemporary campaigns in conversation with activists, artists and writers. ‘Kiss ma hole’ are the starting words of Paul Reekie’s rebellious poem dedicated to the struggle of unemployed workers: an expression of joy, rage and disrespect for the British state. Unemployment benefits are a feature in most of early-career writers’ existence, artist and musicians often being associated with a strategy of refusal to work.Not only has this strategy come under increased attack, but the whole of the benefit system is currently envisioning a radical shift in the imagination of many political practitioners.The 2014 Scottish referendum has produced a new political landscape in Scotland and has seen the emergence of food banks as a surrogate for struggle: while a new rhetorical emphasis is placed on issues of poverty, democracy and participation, this has not extended to the nature of work and its meaning for impoverished communities. Tracing the socio-historical assemblages created by processes of micro-compositions between marginal, often overlooked sections of society can provide a useful map for re-imagining autonomous politics in Scotland both beyond the referendum and outside the very borders of Scotland.Connecting the autonomous struggles of unemployed workers in the 1990s with contemporary campaigns against workfare, sanctions and benefit cuts we propose to explore the space in between theory, practice and action in conversation with activists’, artists’ and writers’ own experiences vis-à-vis Scottish politics.The insights that will emerge will be reflected on in the introduction to a collection of essays, edited by Counter-info Lab, which aims to document the relationship between writers and autonomous campaigns in Scotland before, during and after the referendum. In order discuss ideas of autonomous political imagination, we propose a laboratory for cultural and social engagement through the format of a workshop organised into three moments. The first session will take as its starting point 15-minute contributions by Leigh French, Harry Giles and Sacha Kahir on the relationship between contemporary artistic practice and culture on the one hand, and the system of benefits and work on the other. The second session will start with the screening of a video by Cameron Watt on direct action against workfare, and continue with 15-minute presentations by Lynne Friedli and Arianna Introna. We will finish with a roundtable conversation in which speakers and participants will be invited to discuss the connections between the different perspectives emerged during the day, in relation to 1990s autonomous struggles as captured in John Holloway’s 1990 ‘The Politics of Debt’ and James Kelman’s 1992 ‘Opening of the Edinburgh Unemployed Workers’ Centre’ (extracts will be circulated and read as starting points for questions on the day). Counterinfo Lab is an autonomous left-libertarian collective of political and cultural analysis connected with the Autonomous Centre of Edinburgh. It has emerged from the ideas and discussions that provided the basis of the existing Info Shop and Scottish Radical Library groups. It operates in the spirit of Counter Information – a magazine based in Edinburgh which started in the 80s as a support initiative for the Miners’ Strike but developed into a broader project bringing together struggles from different places and promoting direct action in the UK and worldwide. We produce writings, translations and analyses of the existent social reality and the variety of struggles arising from it, for use by the movements we are active in.In 2014 we edited a self-published collection and curated a photographic exhibition under the name “Up Against the State: the Battle for Broughton Street and the Edinburgh Unemployed Workers Centre”. 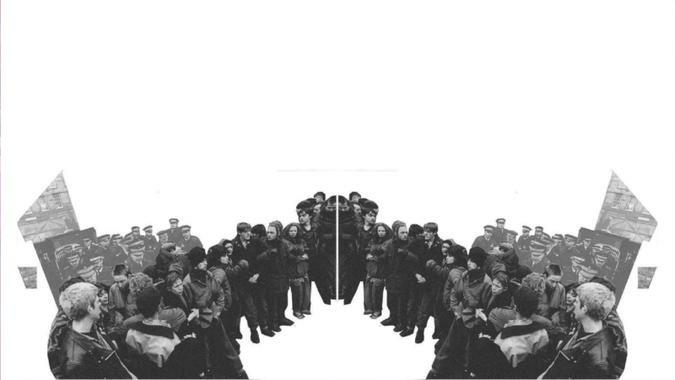 This was based on archival material, poetry, interviews and analyses of struggles of unemployed workers and the constitution of an autonomous social centre in Scotland.We are currently in the process of editing a book on the relationship between autonomous politics and Scottish writers, with Word Power Books. Lynne Friedli – Lynne Friedli is a freelance researcher, with a special interest in mental health and social justice. She is part of Hubbub at the Wellcome Collection, exploring the dynamics of rest, noise, tumult, activity and work in modern life, and is currently researching the (mis)use of psychology in workfare and other employment programmes. Lynne is also interested in the politics of ‘assets based approaches’ (notably in Scotland), the wider use of positive psychology in the reification of ‘work’ and the resurgence of new forms of resistance to work. She wrote Mental health, resilience and inequality for WHO Europe and has contributed to the WHO Europe Strategy on Mental Health and the recent report on the Social Determinants of Mental Health. Lynne is a member of Boycott Workfare and a fellow of the Centre for Welfare Reform. Autonomous Centre of Edinburgh, 2014, Up Against the State: the battle for Broughton st. unemployed workers centre, Clydeside Press. Graeber, David, 2011, Debt-Updated and Expanded: The First 5,000 Years. Melville House publishing. Holloway,John, 1990, The Politics of Debt, Common Sense, issue 10, Edinburgh. Negri,Toni, 1988, Revolution Retrieved: Selected Writings on Marx, Keynes & New Social Subjects 1967-1983. London: Red Notes. Reekie, Paul, 1993, Zap – you’re pregnant. Rebel 100 series, Edinburgh. 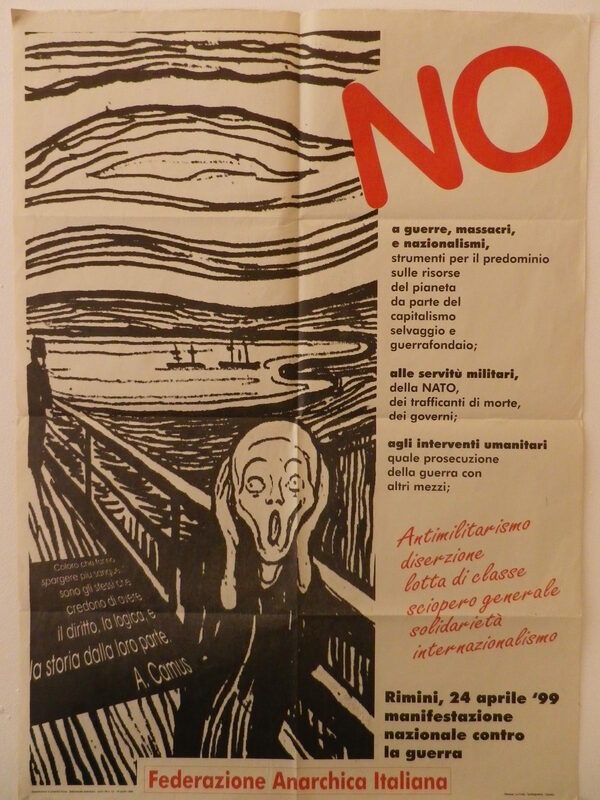 Tronti, Mario, 1980, The Strategy of Refusal, Italy: Autonomia. Post-political politics. Ed. SylvereLotringer and Christian Marazzi (Semiotext), 28-35. On the 25th of April 1945 Italy was liberated by nazifascism with the crucial support of working class, communists and anarchist partisans. 70 years later we want to celebrate Italian liberation day with a solidarity event with Italian Anfitascists and Autonomous attacked by the repression of the state and neofascists groups supported by the establishment. We believe that anti fascism today means fighting for housing and welfare for all against austerity and neoliberal reforms, against borders and discriminations. The event also is aimed at providing solidarity with specific struggles like the one of Dordoni Autonomous Centre (Cremona). On Sunday 28 January, around 6pm, a group of about 50 fascists (mostly from CasaPound) attacked activists from Cremona’s Dordoni social centre. The attack on seven or eight activists was launched by around ten people, and very soon bolstered by 40 more. Emilio, one of the activists and someone very well known in Cremona, was beaten with a bar and then kicked in the face and head as he was lying on the ground. He would remain in a coma for several days before starting to recover. Starting with a presentation about this episode we intend to plan and discuss a solidarity strategy with comrades in Italy and beyond facing repression like the SOAS student Federico Annibale arrested in Frankfurt and with ongoing struggles like NoTAV, NOEXPO and the upcoming event of Mayday in Milan, which national media are scaremongering as the “New Genova 2001”. We will distribute material for translation as well as translated material for those that can`t speak italian. There will be some food, music and drink. During the event ACE info Shop and Scottish Radical Library will be open and you will be able to find out more publications and original material from italian autonomia and workersist stuggles from the 70`,80`,90` and beyond.